Your home’s interior design may be in good shape, but that doesn’t mean there isn’t a long list of items you need to be attending to before having holiday guests over. In fact, it’s in your best interest to get started early because there are a few important matters you should be taking care of in advance. Take the time to look around and get a better idea of what could use your attention the most. Make lists and write down exactly what you want to accomplish and how you want to spend your time preparing. You and your visitors will have a much better time when all is in order, and you feel confident that your home appears in good shape. 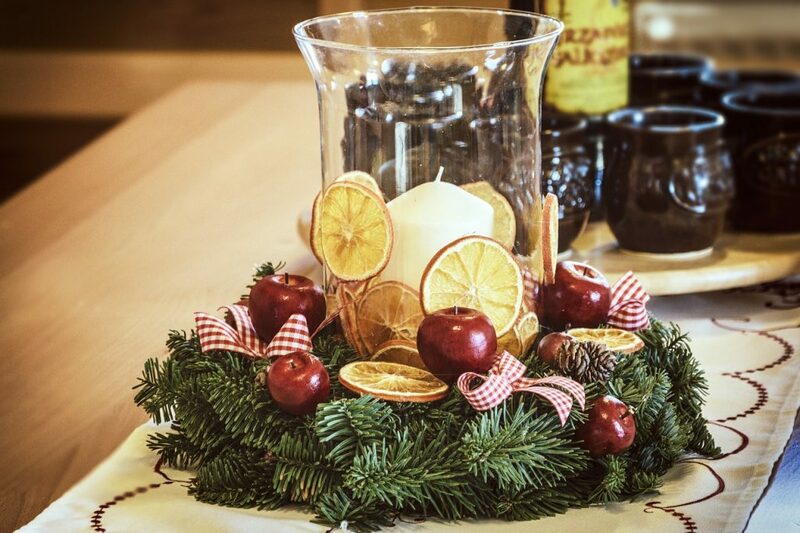 Cleaning your home should be your top priority as you get ready to welcome and take in holiday guests. Perform a deep clean that includes you scrubbing your appliances and using a company such as Astrobrite Carpet Cleaning to make sure your floors looking spotless. This is your chance to take care of all those problem areas you always end up putting off for another day. Your guests will likely be roaming around your entire space and making themselves feel like home, so make sure you clean each room to the best of your ability. Your holiday guests are going to need a comfortable place to sleep if they’ll be staying overnight. Spend time arranging the guest room and making sure it’s an inviting space for them to settle in to. Complete tasks such as putting on new sheets, displaying fresh flowers and confirming there are plenty of warm blankets for them to use if it gets chilly. Also, clear out the drawers and closets, so there’s plenty of room for your guests to unpack and keep their belongings while they’re visiting. Think about how you’d want your room arranged if you were a guest in someone else’s home to help you make it look nice. In addition to cleaning and preparing the guest bedroom, you should also use this opportunity to organize and declutter your space. Go through your belongings and get rid of or donate what you no longer need or use. Clear your entryway so it’s easy for guests to come into your home and they aren’t tripping over any of your belongings. Get your home ready for holiday guests by making sure all of your items have a place that’s out of the way and won’t bother anyone. Go to the store and purchase bins and organizational tools to help make your job easier. One fun way to welcome guests into your home over the holidays and make them feel welcome and special is to create a drink and coffee station. This way your visitors can simply help themselves to whatever they need when they’re feeling thirsty both in the morning and evening hours. Put out any supplies you can think of that they might want with their coffee or cocktails such as sweetener and lemons or limes. Keep it someplace that’s easy to access and be sure to tell them to help themselves whenever they choose. Your guests may forget to pack important bathroom items so this is your opportunity to be a good host and help them out. Put out extra bathroom supplies in attractive baskets on the counter of the washroom in which they’ll be using so the supplies are already there when they arrive. For instance, include toothbrushes and toothpaste, floss, a brush or comb and additional rolls of toilet paper. Also, set out extra bath towels and make room for them to store their belongings in your guest bathroom. You want your guests to feel comfortable and not silly if they realize they mistakenly didn’t bring an important item along with them. They’ll appreciate the gesture and will experience a sigh of relief when they see you’ve already thought ahead. Your guests are likely going to come hungry over the holiday season so it’s in your best interest to properly stock your cabinets and refrigerator ahead of time. Purchase a variety of snacks and goodies for all to munch on if they get hungry. Also, think about what meals you might want to cook in advance so you have the ingredients handy. Try to minimize how many trips you have to make to the store while you’re guests are in your home so you don’t appear rude or inconsiderate. It might be a wise idea to select a night or two where you can all go out to dinner and give yourself a break from cooking and being in the kitchen. It’s likely that you’ll all want to be together visiting in a shared space while your guests are in town. Get your home ready for your visitors by paying special attention to preparing the living area or entertainment room. Pick a spot in your home that’s comfortable and cozy and where you can watch television, strike up conversation or play games. Confirm there’s plenty of seating for all and that your room is situated in the best arrangement possible for engaging with your visitors. This may be a good time to go out and purchase any furniture pieces that you feel would be useful such as an end table or an item that also acts as extra storage. Instead of panicking and over thinking what you need to do to prepare for guests over the holidays, simply follow these tips. Your home will look great and you’ll feel calm and prepared to welcome your visitors into your space when you plan ahead. The more often you host guests in your home the easier it’ll be for you to get ready for them in the future. Most importantly, enjoy their company and have fun catching up with one another.